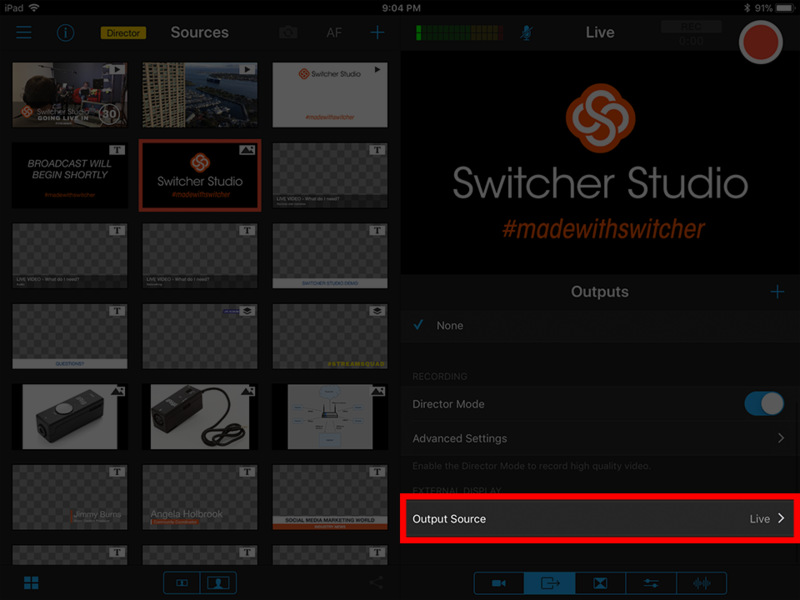 Switcher Studio supports video output via HDMI and AirPlay. In the "Outputs" tab under "External Display," you can toggle the external output between "Live" or "Whole Screen". The "Live" option will output the image from the "Live" pane in the upper left corner. The "Whole Screen" option will output the entire app interface. 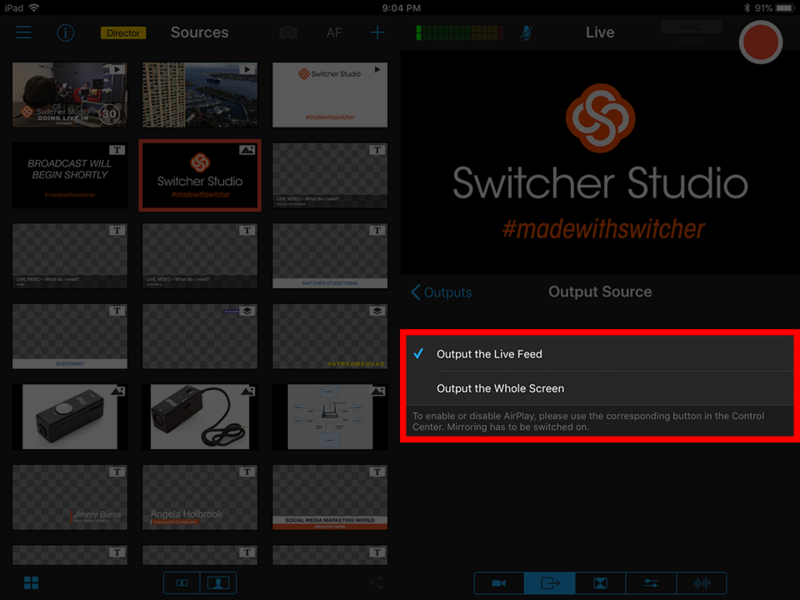 Synchronized Audio and Video are output when using HDMI or Airplay with Switcher Studio. AirPlay output requires an Apple TV connected to the same network to receive the video feed. HDMI output requires an Apple HDMI adapter. For newer devices, use the Lightning to HDMI or Lightning to VGA adapters. VGA adapters will not transmit audio. For older devices (with the wider data cable), use the 30-pin to HDMI or 30-pin to VGA adapters.